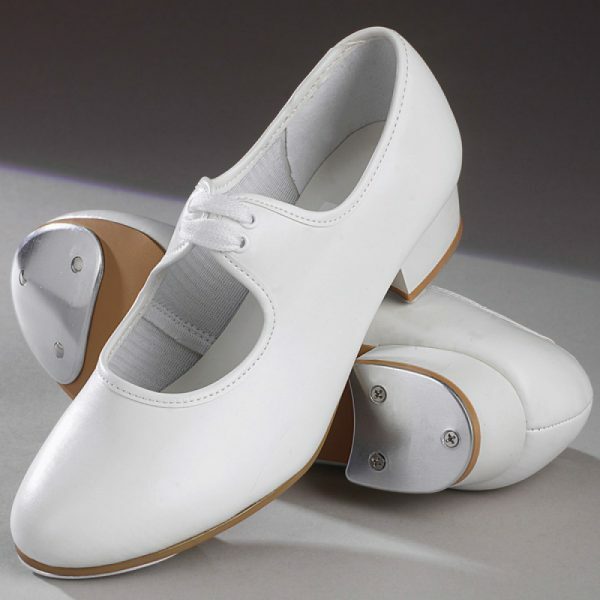 1st Position PU Low Heel Tap Shoes are the dancer’s choice for beginners with a low heel and a fitted toe tap. The white PU uppers are lace up and are perfect for class wear, exams and productions. The range of sizes from child 7 to adult 8 ensures every dancer can find a pair of tap dance shoes to fit.